More than 1,000 species of spiders are found in Wisconsin. The state’s native spiders fall well short of the dimensions of the world’s biggest species – certain tarantulas – which may reach 4 inches in length and nearly 10 inches across. Most spiders native to Wisconsin measure less than 1 inch, but a few species can reach 1 1/2 inches or more. 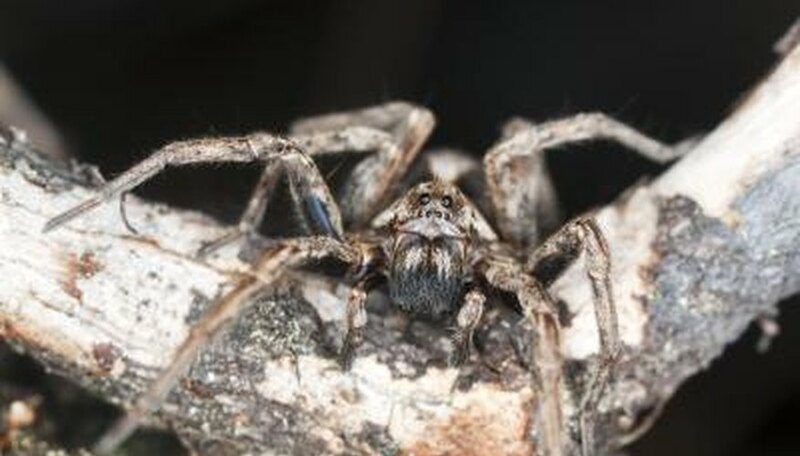 Wisconsin's largest species include members of the family Lycosidae, known as wolf spiders, as well as nursery web spiders, garden spiders and funnel web spiders. Most of the 1,000-plus species of Wisconsin spiders are less than an inch in length, but some, including the wolf spiders, nursery web spiders, garden spiders, and funnel web spiders, reach greater sizes. The largest of all is the dark fishing spider, a member of the nursery-web family that may reach three inches long. 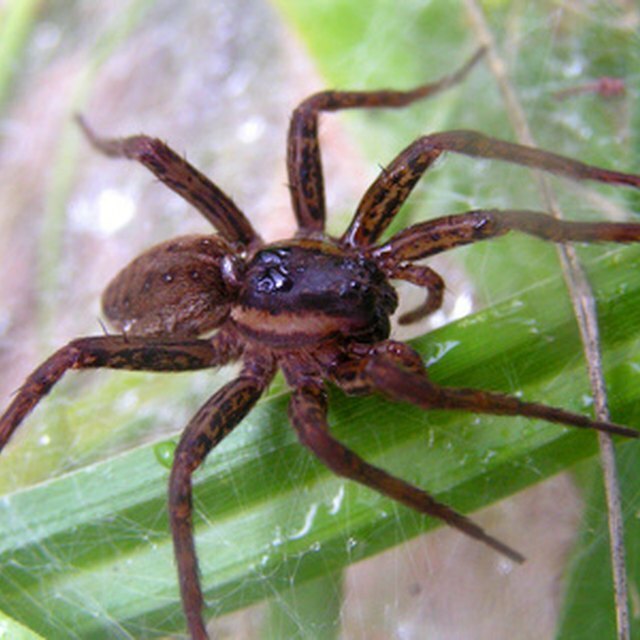 Members of the family Pisauridae, the nursery web spiders, which are found in Wisconsin include Pisaurina mira and Dolomedes tenebrosus, the dark fishing spider, which is the largest of the state’s spiders: They may reach three inches in length. These semiaquatic spiders can, by secreting a hydrophobic (water-repelling) fluid at the tip of their legs, skitter across the surface of lakes and ponds, and can even forage underwater by breathing via air bubbles trapped in the bristles of their abdomens. Typical prey includes insects, tadpoles and small fish. Nursery web spiders and wolf spiders are similar, and get mistaken for one another sometimes. More than 40 species of wolf spiders are found in Wisconsin, including members of the genera Pardosa, Pirata and Arctosa. The largest wolf spiders are the members of the genus Hogna, with five species found in Wisconsin. Hogna carolinensis, the Carolina wolf spider, ranks as the biggest of them all, with females reaching up to 1 1/2 inches in body size. Wolf spiders are active hunters, and sometimes dig burrows on the ground to wait for insects and other prey. Ground spiders are the members of the family Gnaphosidae, with 29 species in Wisconsin and more than 2,000 around the world. Female spiders of the genus Drassodes can reach about 1 inch in length. These spiders are brown to tan, and are nocturnal hunters. They weave a sac on the ground or under leaves to hide in during the day. Seven species of funnel weaver spiders, part of the family Agelenidae, inhabit Wisconsin. Females of both the barn funnel weaver (Tegenaria domestica) and funnel-web grass spider (Agelenopsis naevia) may approach an inch in length, exceeding an inch across when the legs are counted. These spiders live on the ground, where they build tubular funnel webs to shelter. Zinni, Yasmin. "Big Native Spiders in Wisconsin." Sciencing, https://sciencing.com/big-native-spiders-wisconsin-8444831.html. 19 April 2018.